"IT'S MY BELIEF you hate the sight of the very river... As if it wasn't your living! As if it wasn't meat and drink to you!" Gaffer, in the opening scene of Charles Dickens' Our Mutual Friend, rages across the Thames at his daughter Lizzie, who whimpers in reply: "I – I do not like it, father." In her defence, the meat and drink her father is referring to here is drowned people; the coat pockets of which he'll raid before handing their body into the police, claiming he just happened upon it. The fact he could make a good living out of this tells you everything you need to know about the state of the River Thames in the Victorian age. It stank. It was an open sewer. The only life it sustained was pathological. The introduction of the flushing water closet, hailed as a sanitary revolution, had been its undoing. It's thriving fishing industry died, along with the thousands of Londoners whose sole water supply was the Thames. In the Great Stink of 1858 MPs finally had enough. The problem was in their own back yard – they couldn't sit parliament the stench was so awful – and Queen Victoria and Prince Albert had to cancel a river cruise. "By a perverse ingenuity, one of the noblest of rivers has been changed into a cesspool," the MPs shouted angrily. What did his honourable friend mean to do? The answer, played out very intermittently over the course of two centuries, would prove to be one of our biggest clean-up operations. Even in the past 50 years the river has improved dramatically, from being declared biologically dead in 1957 to sustaining over 120 species of fish today. "Still," I hear you mutter, "you wouldn't actually feed off it. I've seen what washes up on the muddy flats at Putney." The reality may surprise or even alarm you, according to how much you know of fishing, foraging and where water comes from. Thames Water plc is not a historic title: when we turn on the tap we are drinking the Thames. Of course, it goes through various treatments and purification processes beforehand, but "if you're living within the M25, most of your water will be sourced from the River," says media relations manager Stuart White. This leads me to a far more interesting beverage: beer, and the dependence of London's breweries on the Thames. "The chances are we're one of their biggest customers: after all, it's not like we're just filling our baths with it." I'm standing with Jethro Holman in the noisy, musky bowels of Meantime Brewery in Greenwich on the banks of the Thames. Behind us, three huge tanks are filling with up with what Holman describes as simple Thames water tap water. "It will go through this reverse osmosis machine," he says, pointing to a strange, scuba-like contraption, "and be forced through a layers of fine membranes to get all the minerals out of it. What we brew at Meantime is essentially a blank canvas, to which we can add the minerals we need." Gypsum, a mineral common in Staffordshire, makes fine pale ales. Soft water, the result of low calcium levels, is good for lager. "Over in the Czech republic, the water is very, very soft. That's where Pilsner comes from – but London has hard water, and it's the calcium that aids the roasted coffee flavours of the London Porter," Holman explains. It's no coincidence that, up until the late 1870s, the majority of Londoners were drinking dark ales or gin, because "the water was undrinkable, and alcohol and hops were antiseptic." Yet even today when the population is drinking, if not less beer, then far more water than they used to, there's no getting round the fact 95% of a pint from Meantime originally flowed through Old Father Thames. This, plus processes and routine cleaning means 88,000 pints of water a day are used by that brewery. Now look at how many breweries there are in London today. 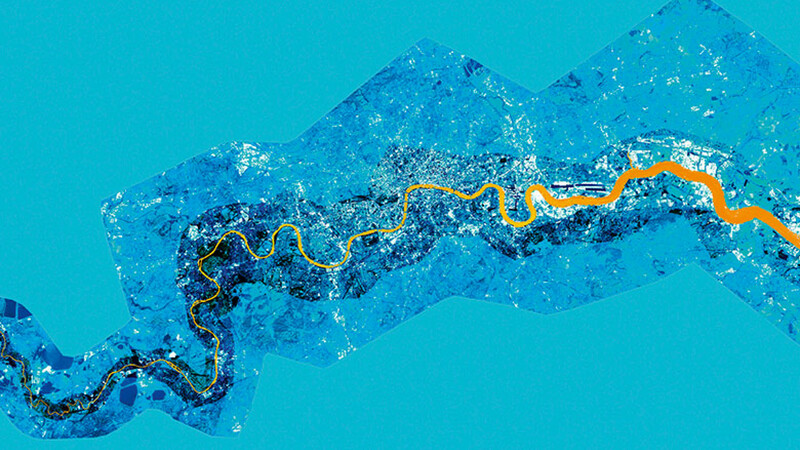 As Thames Water's White says, if you turn on a tap in the London region, you are using water from the Thames. Down the river at Fuller's, they have to fill up their water tanks at night, they demand so much. Sarah Cruz stands on a stepladder, wielding a pair of formidable-looking secateurs. She needs to work quickly: elderflower wilts from the moment it's been cut, and Sipsmith is waiting. The distillery has teamed up with Cruz via her group, Abundance London, whose raison d'être is to harvest the seasonal glut of local produce you find in the city. Sipsmith is after elderflower for its gin, and where better to source it than from Chiswick's riverbanks, a mere minute's walk from the brand's distillery? Cruz delivers it that very morning. 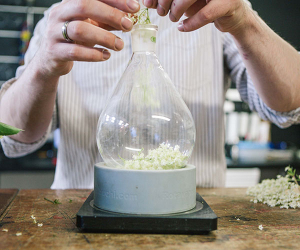 Thereafter, head distiller Ollie Kitson says he'll try two different methods of making gin: distilling it (that is, using the flowers as one of the botanicals) or infusing the flowers whole in the original spirit. He's thrilled with Sarah's offering, which, warmed by the early morning sun, is beautifully aromatic. We leave him happily roasting flowers in a slow cooker, ready for the glass still, and head upstream to a man who also loves foragers – albeit of a quite different nature to Cruz and her team. His name is Bob Ring, better known as Crayfish Bob, and his game is the catching of crayfish from the Thames near Abingdon, where they are most prolific. Ring hopes to wipe out the plague-carrying American signal crayfish, which, having been introduced to the Thames forty years ago, has all but wiped out the river's native white-claw species. "The logical thing to do, it seems to me, is to trap the Americans and sell them on. We've loads of them, and they're causing trouble," he says. Yet the practice is currently under threat from government advisors, who wish to introduce a ban on crayfish trapping, to protect white claws. "Their argument is that making crayfish commercial might encourage the problem, because we'll put the unsalable ones back, or stock them in other waters where the natives still are. They don't want to acknowledge the fact they introduced the American in the first place," Ring fumes. In reality, he argues, he and his merry band of trappers pull out hundreds of tonnes of American crayfish each year. They're sold at street-food stalls and at events like the one Ring himself organises, the Louisiana Crawfish Boil. Come summer, he'll be in the Doodle Bar in Battersea, selling authentic ("one of my staff is from Louisiana, the other from Texas") all-you-can eat boils to the sound of live bands and ‘Nascraw racing', all in aid of creating a market for the invasive species, so we can eat our waters clear. 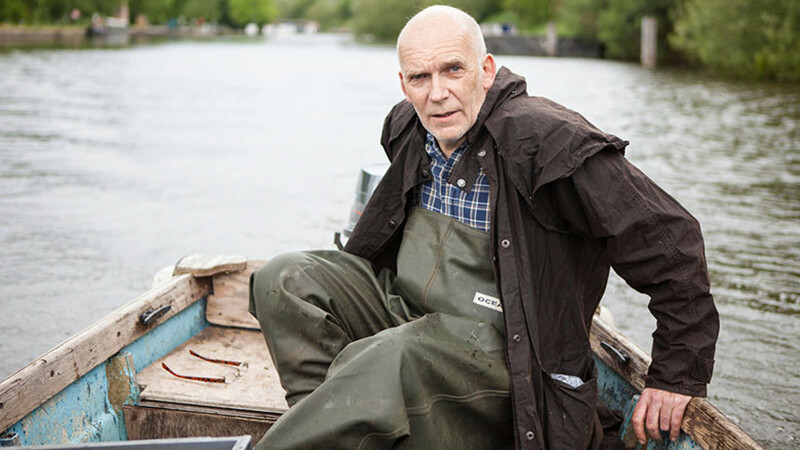 In Erith, just outside London, Gary Hillier plies his trade as one of the last commercial eel fisherman on the Thames. He's fished on and off for 30 years: long enough to have witnessed the shift in demand here from the wild eels he catches to cheaper, farmed eels from Europe. Visit an old pie and mash shop, and the jellied eels will be not from the Thames, as has been the case for centuries, but from Holland. "They taste bland, they've had gelatine added, and the skin is far tougher than wild." Hillier makes his own jellied eels. "I don't need to add gelatine, because they have tasty natural juices." His wife likes them smoked, which he does himself in an old filing cabinet he converted a few years ago. The irony is that the rest of the eels in his catch he now sends to Holland; the Dutch know better than to eat their own farmed eels, preferring them wild and fresh. Thus when Gary lands a catch, he puts those eels he and his friends are not eating into aerated tanks until they can be sold. Historically, eels (typically served atop heaps of creamy mash) were considered poor people's food because they were so abundant, and for centuries they were many East Londoners' only regular source of protein. These days, the Environment Agency claims eel populations are plummeting – a claim Hillier disputes vehemently: "There are plenty of eels here; they've never been more prolific." The reason there are so few eel fisherman today, he claims, is because of "the EA and Europe interfering with licenses. There are no young people coming into it. We have one eel fisherman who is 89." 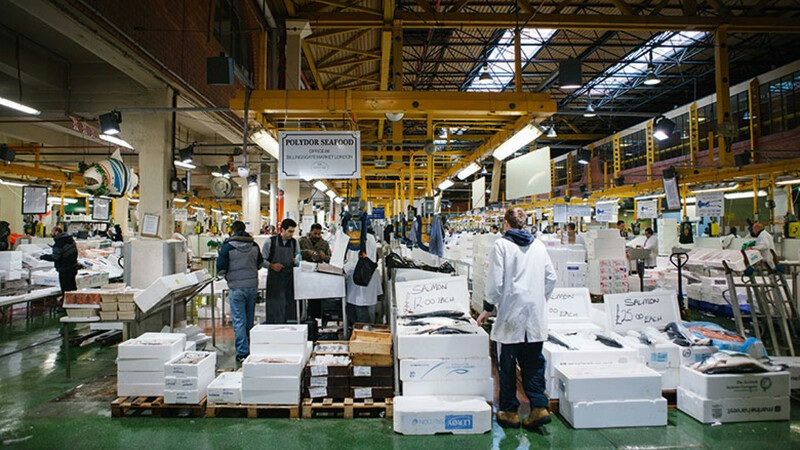 The UK's largest inland seafood market has been providing the restaurants of central London with fresh fish since the 16th century. 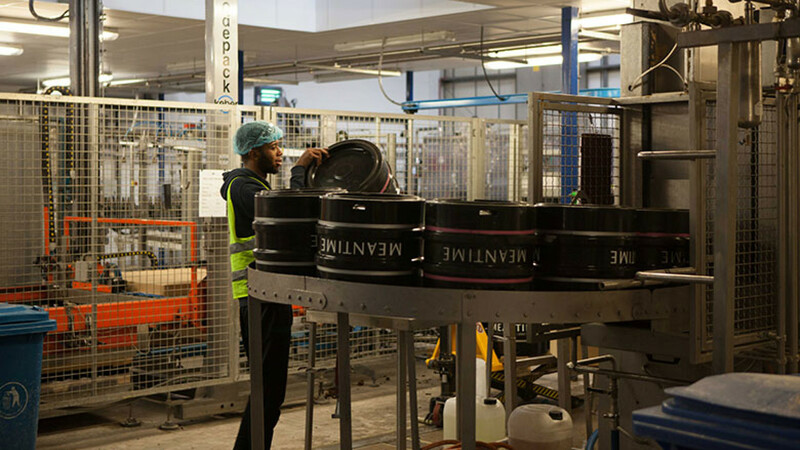 Greenwhich's Meantime Brewery, once a tiny small-batch brewer, has become one of the enduring success stories of London's craft revolution. 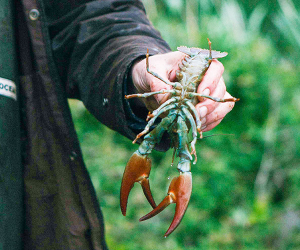 With crayfish abundant in the Thames since the 1980s, Bob is making hay feeding the crustacean to the masses, Louisiana-style. 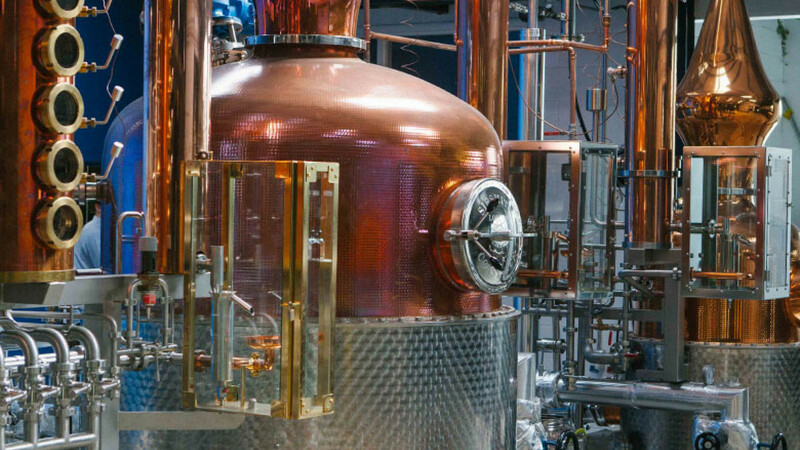 At the time of its founding in 2009, Sipsmith was the first licensed copper pot distillery to open in London in nearly 200 years. When I speak to Mike Boughton of A. Cooke's in Shepherds Bush, one of London's few remaining pie and mash shops, he confirms that while his grandfather probably sourced from the Thames, he would not think of it. "I'm not sure about that," he says. "We need to be able to trust our suppliers." The perception of the Thames as dirty is one held by many, both in and outside the fishing industry – yet it is cleaner than you think. The threats to the eel's survival come, not from pollution, but from the various tidal and hydropower barriers that obstruct and even destroy young eels as they swim upstream. "I don't catch baby eels. I put them back in the water and say, see you in a few years," says Hillier – who may dispute the EA's stance on fishing, but is entirely with them where sustainability of eels is concerned. Moving down to the Estuary – the choppy, windblown mouth of the Thames where it meets the east coast – we find another fisherman for whom Europe is persona non grata: Bluey Walpole. He's been an inshore fisherman his entire life, like his father before him. Where once skate alone would have made up 50% of his summer income, EU quotas means he throws away hundreds of tonnes each month. "We can catch that quota in a single day," he says bitterly. "Now in order to avoid the skate, which are so abundant in the estuary, we have to go further and further out to sea." 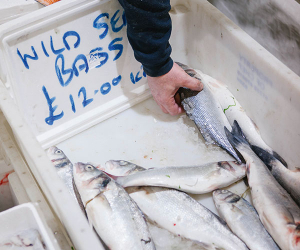 He sells his haul in his local shop and in Billingsgate Market, where it's bought by London chefs. His income is supplemented – barely – by harvesting oysters in the estuary and sending those up to town too. "They're hardly a food you eat every day though," he points out. "We're in limbo here. All inshore fishermen are. Even the sole, bass and plaice which you find in the Thames have EU quotas, though they're also abundant." If you want to support Bluey, look for his Hollowshore Oysters or visit Bobbys or CJ Newnes in Billingsgate, both of whom stock their fish. Other Estuary treasures include the strong, salty Thames herring, which hails from a longstanding fishery in Blackwater, Essex. It's the first fishery in the world to be certified as meeting the Marine Stewardship Council (MSC) standard for a second time – so it is super sustainable, as well as locally sourced. You'll find this fish even in supermarkets like Waitrose and Sainsbury's from November – just look for blue ‘MSC certified' sign on the packet, and make a meal of them by shallowfrying in a handful of oats and orange zest, à la London-loving chef Oliver Rowe. Rowe's restaurant Konstam in Kings Cross, recently closed, was an exercise in sourcing fish from the Thames. Herring, sprats and crayfish hailed from its waters, with even lobsters and crabs sourced from within the Estuary's bounds. He still does the odd pop-up – follow him on Twitter for dates – and champions local food in each recipe he writes. Fans of Hollowshore Oysters include Marco Pierre-White and Garry Hollihead. Finding food sourced from Old Father Thames is not – yet – easy: even 2013's Thames-dedicated #Riverfood event was forced to supplement its menu. Fishermen like Gary, Bluey and Bob survive, but do not thrive upon its waves. The future's... cloudy; no longer dirty and diseased, but still not quite bright enough to quell their fears of going under should things not improve. Nevertheless, if what I have tasted of its depth is anything to go by, there is much hope for a river that is, increasingly, Londoners' mutual friend.